SO! You are moving into your first apartment. What an exciting time of your life. Let’s talk about how to outfit your kitchen so you don’t have to eat out all the time or depend on the university’s dining plan any more. First you will need some decent pots and pans. There is no need to go buy a full set unless you are planning on doing a lot of cooking. It is best to buy pots and pans as your cooking skills grow. Always buy the best you can afford. Fortunately for you, I have so many pots and pans to give you but only once. The quality of these should last you a lifetime. A basic set of good quality pots and pans. These are made by All-Clad – The best in my opinion. There are a lot of cheap knock offs out there. As a general rule, NEVER buy a pot or pan with a celebrity name on it like Emeril or Rachael Ray or Paula Dean. The stuff is cheap and not the best quality. It is all about looks not performance. If you can’t afford All Clad or Calphalon, take a good hard look at them in the store. Pick them up and feel the quality, the balance, notice the construction: how is the handle attached to the body of the pot? Then, when you shop for other lower priced pots, you will know what top quality feels like and therefore can choose quality when you find it in other pots and pans. You can find All Clad and Calphalon sometimes at Marshall’s, TJ Max, Homegoods, Tuesday Morning all at lower than normal retail prices. They don’t always have them but when they do, they are great values. If you can’t find them at those stores, larger kitchen stores that carry these brands often have semi-annual sales with free gifts with purchase that are really worth while. No need to ever pay full retail price for them. Take your time and look around. Yes, this means you need to pack them and move them as you relocate. Now you are accumulating the “stuff” you need to outfit your living space. More than likely, you will always have a kitchen to cook in from now on. 1-5 quart pot to boil water for pasta, making soup etc. A colander or strainer of some kind for straining pasta, vegetables etc. You can have fun with these styles, there are some funky colanders in great colors. 2 heavy-duty sheet pans – commercial 1/2 and 1/4 sheet pans are best; they last and don’t warp. 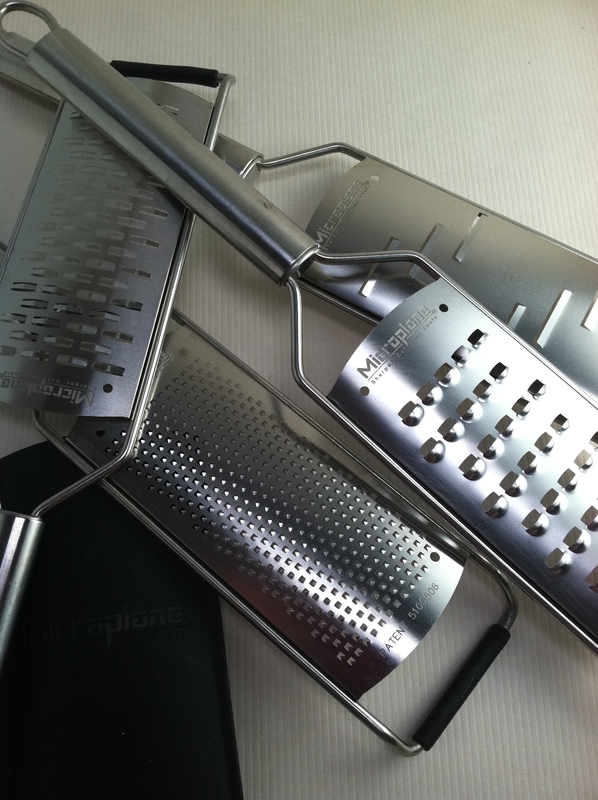 Microplane– a hand grater in various shredding sizes. 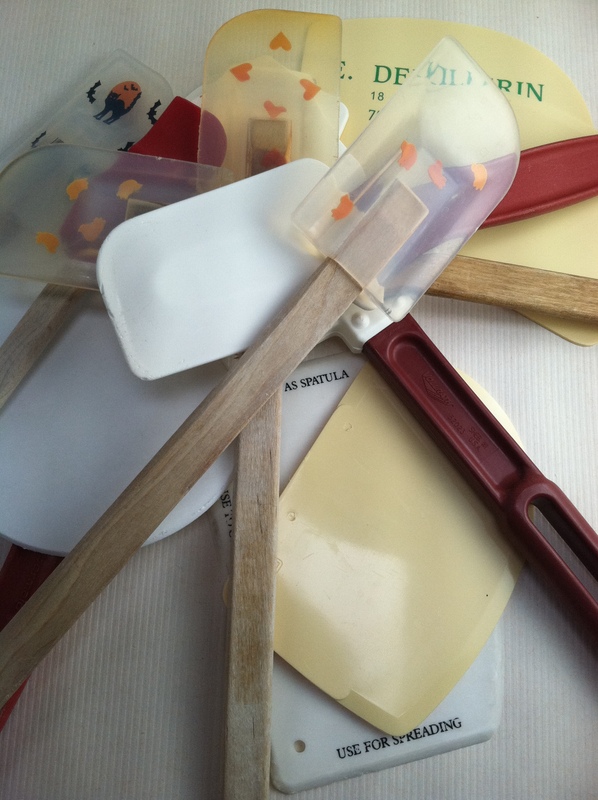 Heat resistant spatulas – lots of uses – only buy heat-resistant ones. It says so on the label. Why? Because they melt if you use them on the stove and they are not heat-resistant. Who wants plastic in their food? Professional grade stainless steel tongs – they become like your other hands. Great for moving things in the pan without piercing ( meat). Buy sturdy ones. Several kitchen towels, sponges and washing-up cloths. You will use these for removing hot things from the oven and for wiping up messes and drying your hands. Made from High Carbon Stainless Steel- all about knives may come later. When removing things from the oven, make sure your towel is completely dry or else you will end up with a nasty steam burn. With all of this, you should be ready to start cooking. When you get these things, wash them and give them a home somewhere in your kitchen. These are not the typical cheap things you find in most college apartments. Good pots and pans wash up neat. Use Brillo or SOS pads to remove any baked on grease or stains as they happen. Bar Keepers Friend or Bon Ami are both scrubbing powders that so not scratch so get some to help keep your pans looking brand new. DO NOT use Comet or Ajax, it will scratch too much. As a general rule, do not put the pots and pans in the dishwasher. Hand wash. Get used to it. NEVER put your knives in the dishwasher. The heat can make them brittle and break easier. As I said earlier, I am giving you a great set of pots and pans, just once! You should be able to give your set to your child when they get their first apartment. Yes, they will last that long and still be like new if you care for them. They will cost you a small fortune to replace so make sure you take care of them and take them with you when you move. Next we will start talking about some basic cooking skills you can easily master that will take you a long way. Let me know what you want to learn to cook. Tonkatsu? You already know our family favorite: Sardine and Anchovy Pasta. You are on your own for dishes. Get something you like and fits your budget. This entry was posted in Cooking Thoughts, To Tyler: How to Cook: and tagged All-Clad, Bon Ami, cook, Cookware and bakeware, Frying pan, Home & Garden, Kitchen, Kitchen and Dining, Measuring cup, Microplane, Shopping, Stainless steel. Bookmark the permalink. what a cute picture! and what a handsome guy…. you really are a great mom to do this. and I can surely use some of your advices, my pots and pans are terrible! btw, been missing your comments lately, are you still getting my updates now that I changed address? No. I have been missing you! What is your new addy? you need to go to my page and subscribe again if you want to get my updates as before. missed you too! I baked some leaven bread I though you may like, among other things. xox and congratulations for your boy who looks just like the boy every mother would be proud to have raised. brava! Good advice and great pictures, esp. of you and Tyler! He’s a lucky guy to have a mom like you! Absolutely agree on the knives. Most people think they need one of those block sets with about a dozen knives in them. Even in restaurant kitchens, people rarely use more than 4 knives, the 3 you mentioned and one serrated bread knife. Absolutely, it is also good for slicing tomatoes and other squishy things without squishing them into mush. I find I use the same ones even though I literally have over a hundred of every style and make you can think of. Great point! Add a serrated knife too. I LOVE this post! 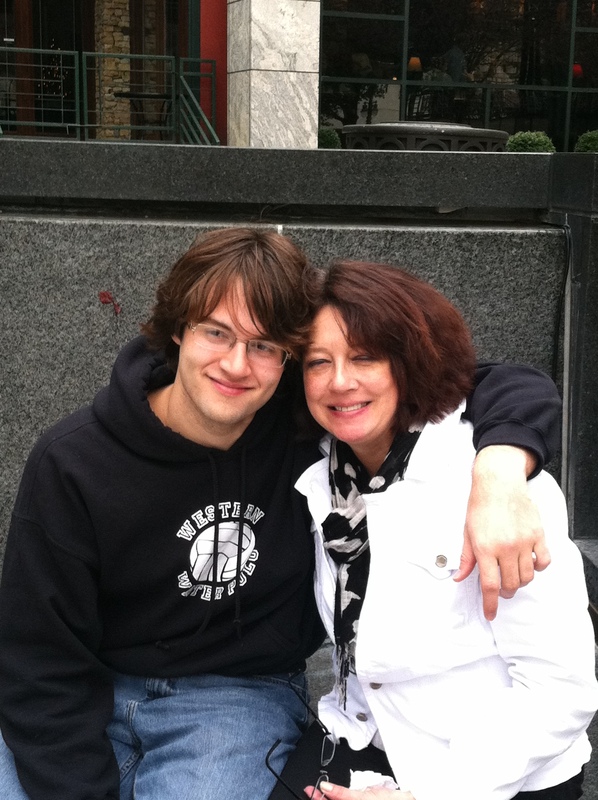 I have a young adult son too, and it won’t be long before he’s moving out of home. For the past few years, much to the despair of my husband, I have been stocking up on really good pieces to pass on to my boys when they leave home – Emile Henry pots, Romertopf clay pots (I’m a huge fan of cooking in clay, as you can tell) – although I’ve resisted buying bone china dinner sets on sale (I think bone china is a wonderful investment, as it lasts and lasts). I’m going to come back to your checklist when it’s my turn to let them fly free … thanks! Hope I’ll see you again soon! I am glad the list will help him Fernanda! You will need to teach him how to do bread. I did a post about what happened to the blog, read the Three days of Hell post. As always, if you have any questions, I am here to help!